Severin Ritchie joined BASIC in 2017 as the Events Co-Chair. Severin is also an Associate at Colchester Partners, which is an investment banking and strategic advisory firm dedicated to serving the needs of investment management firms and their professionals. At Colchester, Severin is actively involved in a wide range of business activities, including mergers and acquisitions, divestitures, re-requitizations, MBOs, business valuations and other strategic advisory activities. 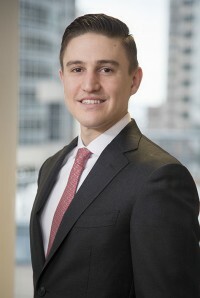 Prior to joining Colchester Partners in 2014, Severin worked in the Forensic Services practice within Advisory Services at PricewaterhouseCoopers. Severin received his Bachelor of Science degree in Finance from Bentley University in 2009. As Events Co-Chair Sevi plans and executes BASIC events including panel discussions, roundtables, and socials. The event co-chairs collaborate with the BASIC management team and BASIC affiliates to ensure events are engaging and touch on relevant topics in the SRI community.